It can be incredibly easy to call for innovation in the healthcare system without thinking about what this means for individuals who are on the front line. From an outside perspective, we are constantly bombarded with new health tech revolutions that claim to be the ideal solution for solving problems that are many times deeply intertwined within the current structure of our health system. It seems like everyday a new product comes onto the market, which can make it incredibly frustrating when we do not see as fast-paced movement and tech adoption occurring within provider systems. Those who actually manage and work within health systems are the ones who actually see the complete picture of the health tech revolution. They also are reading about these flashy new products, but unlike us they are also privy to the inner workings and struggles that getting a product successfully integrated into a health system requires. Revolutionizing our health system is not as easy as buying a bunch of product licenses and then handing out applications to patients, but actually involves a considerable amount of thought, training, IT integration, and program roll-out. One provider system that recently went through this experience is St. Vincent's Medical Center in Bridgeport, Connecticut. 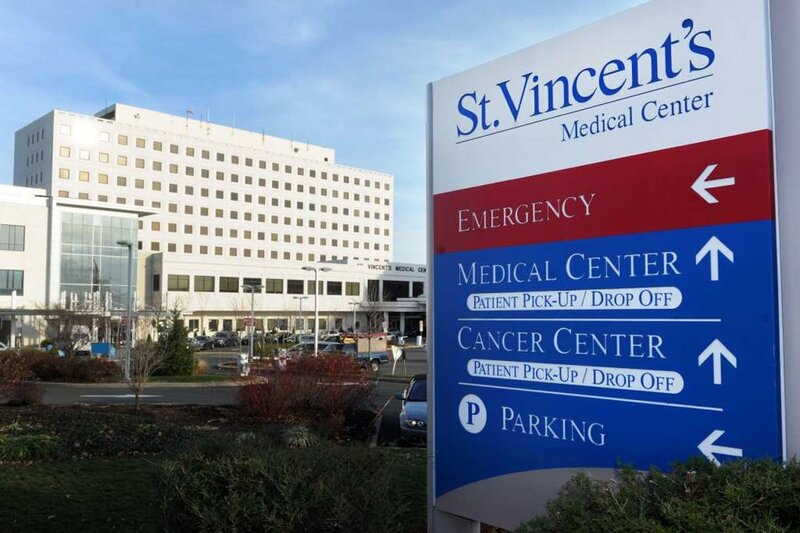 St. Vincent's is a 473-bed community hospital and is part of the Roman Catholic health system Ascension, which provides care in 22 states and has recently been trying to push their centers in the direction of innovation. As part of this initiative, under the guidance of their Senior Vice President and Chief Strategy Officer Dianne Auger, St. Vincent's recently worked with the well regarded family planning application Wildflower Health. Through the digital application, users are able to users to find doctors, schedule appointments, and get health tips, with the ultimate goal of creating a more robust and easy to use family health care system. Next week, we will be featuring on the blog an interview with Wildflower Health about their services, however we wanted to begin the story by speaking with Dianne about the process of integrating this technology into her hospital. There is no better way to get the complete picture of what it takes a health system to evolve than from hearing the story firsthand from those doing the work. Junto Health (JH): Can you briefly describe your position at St. Vincent’s Medical Center and how you began thinking about innovation? Dianne Auger (DA): I currently serve as Senior Vice President and Chief Strategy Officer with St. Vincent’s Medical Center in Bridgeport, CT and as President & CEO of our Foundation. I began my career in healthcare 5 years ago, and at the time, was a newbie to healthcare, having joined St. Vincent’s after a career with the American Red Cross. Throughout my career, being innovative has been one of the things that drives me. Now in healthcare, it’s become so important to focus on patients and consumers – what do they want from healthcare, how do they use it, choose it, value it and most important, what will all of those answers be 5 years from now? How can we serve them for life? Who do we need to partner with to do so? What’s disrupting our industry – and are we disrupting or being disrupted? And as a mission focused, faith-based organization, how can we ensure that we leave no one behind- that all are served in a compassionate and accountable way? I was chosen to participate in Ascension’s Leadership Academy shortly after my arrival at St. Vincent’s and through this 2 ½ year leader institute, was introduced to thought leaders in management, leadership, healthcare, finance and innovation. We spent one of our residential weeks in Silicon Valley learning about how the best companies succeed at innovation and execution. It was exhilarating and thought provoking! The question was (and still is): can healthcare be truly innovative? JH: What led you to integrating Wildflower Health into your hospital? DA: After Silicon Valley, our Academy work included a pilot project, and two colleagues and I decided to explore how we could create stickier relationships with healthcare consumers (especially after watching so many people using their phone to access their loyalty cards on the Starbucks app). Was there some way to reward healthcare consumers? It sounded counterintuitive in a world that was moving away from fees to a world of value- but if we could capture their loyalty, wouldn’t we more easily and effectively help manage their health? We originally planned two pilots- one to explore a senior rewards program and one for a new mom program. At St. Vincent’s, we were already trying to identify ways to build our Family Birthing Center services. You know that women make 80% of the healthcare decisions for their family. It seemed to me that everyone in healthcare knew this, but no one was really focusing on women as a way to build a robust, sticky consumer relationship for life. My research told me that new moms are ready to build a system of care- they are beginning to care for their health, a new baby’s health, and as they become responsible for the health of others in their family--- they become the Family’s Chief Medical Officer. They become the driver of more than 80% of the over $3.2 trillion spend on healthcare every year. How can a health system make this very important target a loyal customer that chooses every facet of their system for the various people in her life that she is managing (the baby, the elderly parent, the partner)? They are all looking to her to manage their care and decide where and how to access it. Could we make her a loyal advocate so she would drive her business to our system? Create stickier relationships with these new moms. One member of our group found Everyday Health, and their “What to Expect When You’re Expecting” subscriber app. More than 50% of the pregnant women in the U.S.
use this app, and we felt we could market to pregnant women through their subscription base. We pitched our idea to use their subscriber base to market our pilot hospital, and they liked it. They were working with Wildflower as a strategic partner, and when they heard we wanted to find a way to build our delivery volume and to create deeper relationships with these new moms, a whole new relationship was born. Leah Sparks, the founder of Wildflower, was introducing the Grow App, and it was the perfect opportunity for us to test our theory and for her to introduce her app to a market of new moms with in a piloted approach. JH: What has been the most challenging aspect of integrating Wildflower Health in your health system? The easiest? The most unexpected? DA: The hardest part of integrating Wildflower Health in our health system was the IT component, and the security matters that our IT colleagues needed to work through with Wildflower. Any type of health data exchange, or an app that includes your system’s information is going to need time for vetting and ensuring it complies with your IT security standards. The easiest part was the acceptance of the idea- our nursing staff and associates thought it was a great idea, and our marketing department was tremendously helpful in coming up with creative ways to market the app internally and externally. The most unexpected challenge was having people understand it could be used by dads, too! JH: Being part of a Catholic provider network, were there any concerns with utilizing a family planning application? If so, how were those concerns mitigated? DA: In our initial conversations, Leah and I talked about ensuring that content in the Grow app would be in alignment with the teachings of a Catholic provider. We were able to review all content prior to release of the app, and worked closely with Leah and her team to customize content for our Catholic healthcare ministry. JH: Have you learned any valuable lessons during this pilot program? DA: We’ve learned so many lessons! If I had to choose a couple, I would say the first would be to learn to be comfortable with the word “pivot”! Pilots require constant iteration, and going back in to asses what’s working, what isn’t, and why—and then acting to make quick pivots. We were lucky enough to work with Soren Kaplan, a leader in innovation and author of “Leapfrogging”, who taught us to love the pivot. In Silicon Valley, we learned to fall in love with the problem – don’t fall in love with the solution! Don’t be so focused on the solution you create that you forget the problem you were trying to solve in the first place. And involve the people who are the best at what they do as your partners. The digital experts at Everyday Health know digital marketing, how to tweak content and test it constantly to see what’s working. We learned so much from them about messaging to consumers and what will resonate, and we’ve translated that to some of our own website messaging and aesthetic (simple really is better). Working with the Wildflower team, who understand the way smartphone users access information, why they go back to that app and what must be dynamic are all lessons that can be translated to any industry: focus on how your target is accessing your product, make it easy to access frequently, keep it fresh and full of useful, trusted information; for us, that is the answer for keeping patients engaged in healthcare, even when they aren’t thinking about it every day, like we are. And, it’s hard to do innovation “on the side”! This pilot, at some points, took on a life of its own, as we had to create multiple pitches to sell it within our own organization (for funding) and then implement within our hospital and next, in a larger, multi-hospital system. We had to be disciplined to carve out the time needed from our day jobs to give this the attention it deserved. JH: What advice would you give to other health systems that are interested in utilizing health tech, but are unsure of how to start? DA: It seems to me that healthcare providers are averse to risk, and if you think about it, that’s probably to be expected, given the focus on safety and desire for evidence based knowledge. I recall a physician leader saying once to me about a project “You’re going with your gut– don’t you need more data?” Innovation requires healthcare to suspend a bit of the data gathering up front, and try some new approaches, and for startups, that may be difficult if you don’t have a track record of success. My advice for startups would be to find the strategy, marketing and population health leaders who may be a bit more interested in pushing outside of the boundaries of their organizations. And be patient as you navigate the IT and standards methodology that many systems are using these days. Your start up isn’t going to have a master agreement, have been vetted through an entire EHR interface or proven that it can scale to a system of 100 hospitals yet- it will take your tenacity and passion for your solution/product/idea to make that real. A champion in the organization can help you to do that- make sure they have the position (and the funding, if necessary) to make it happen. And in some larger systems, look for the leaders in innovation and seed funding that have the potential to bring your idea quickly to a large market for scale and have the potential to fund it.